When I first received this book it was in a sorry state. 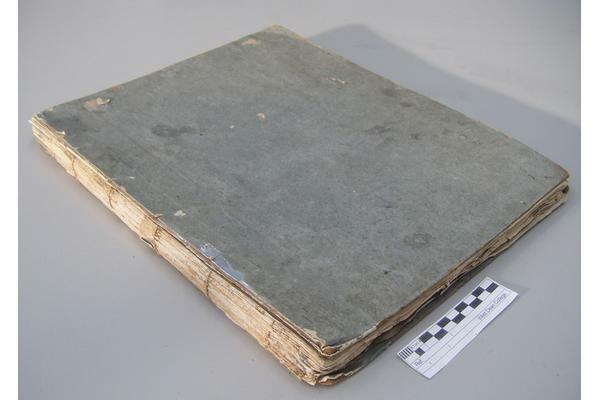 The original paper binding, sometimes used as a cheap alternative to more durable binding styles, was most likely intended to be a short-term covering until the owner could have it properly bound. 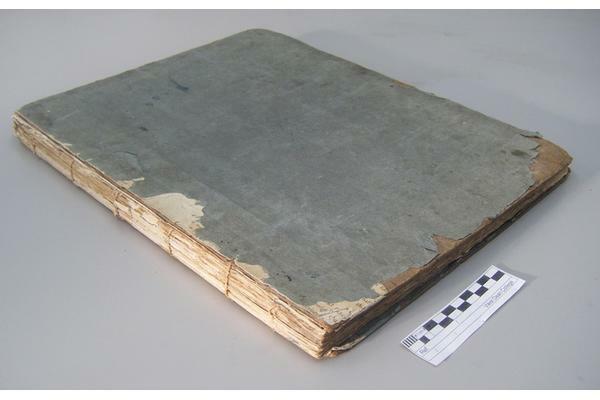 For whatever reason, this never happened so, just over 200 years later, this "temporary" binding had pretty much pulled itself to pieces. Due to the nature of the item, I was immediately presented with two choices. 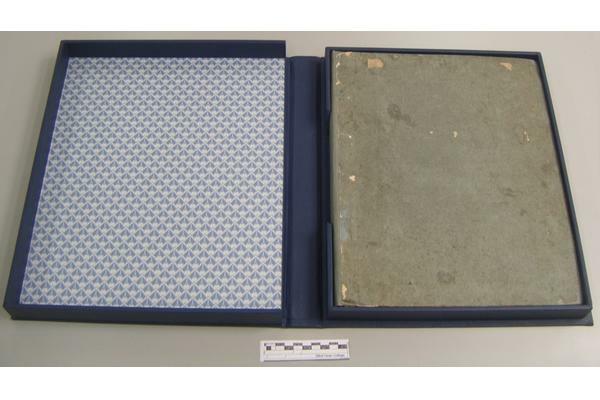 On the one hand, I could have rebound the book entirely (this being the probably intent of the original binders), or on the other hand I could conserve the piece more or less as it is. Whilst the former would perhaps have been the more enjoyable option, I chose the latter in order to preserve as much of the original material as possible. 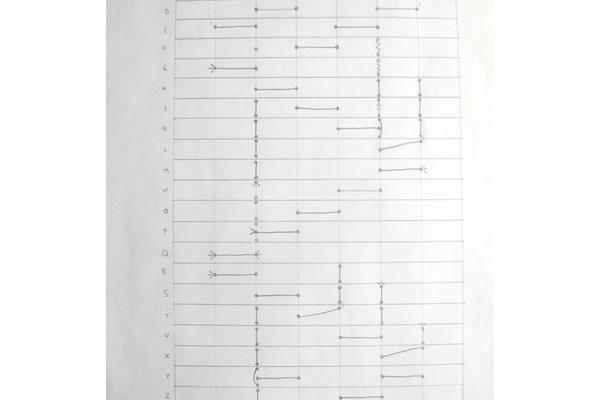 As part of my examination of the book, I produced a sewing diagram (left, click to expand), in order to find out how it had originally been sewn, and discovered a number of issues that were likely to blame for the book's self-destruction. 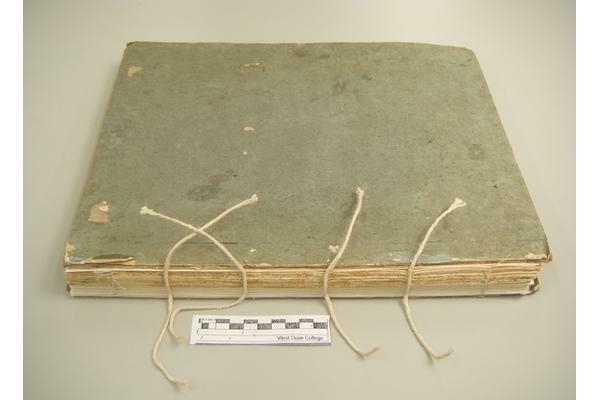 Firstly, the book had been sewn haphazardly; switching from a one-up or two-up sewing for the first few sections to a four-up sewing, with loose ends stab-sewn back through previous sections. 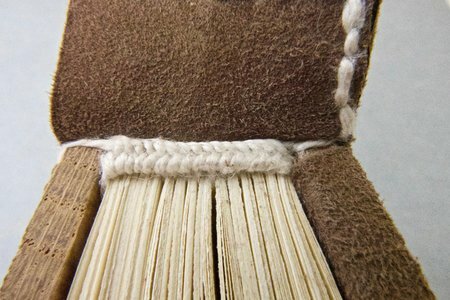 this meant that most sections were only bound together by one short length of thread, putting too much stress on these areas, and the head and tail ends were almost entirely left open, causing the sections to hinge awkwardly. Adding to this the fact that the sections were made of single folds of paper, it is surprising and fortunate that in most cases the the thread had given out before the paper; much of the thread had broken, with small scraps to be found wound around the sewing supports, but the paper was mostly intact except for the first two sections and where stab sewing had torn through. 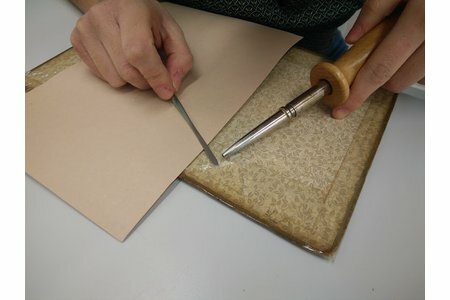 Secondly, half of the book consisted of printed plates on single sheets, all stab sewn together, putting a lot of stress on a very small area of paper. But, again, the weakness of the thread seems to have mostly saved the paper, although it does appear that some of the plates have been lost. I therefore decided that the book needed to be resewn in a more robust and consistent manner. 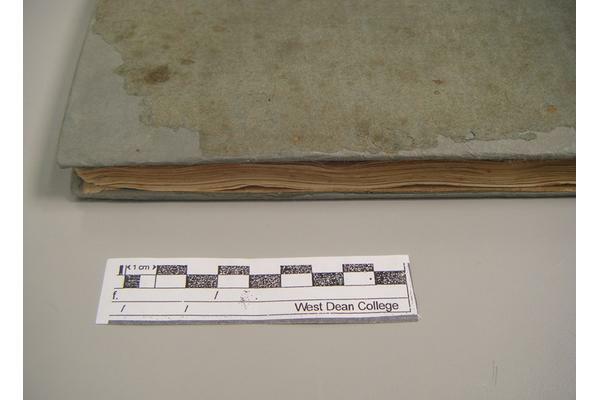 The first and second sections (which had split) were guarded back together with strips of Japanese tissue. 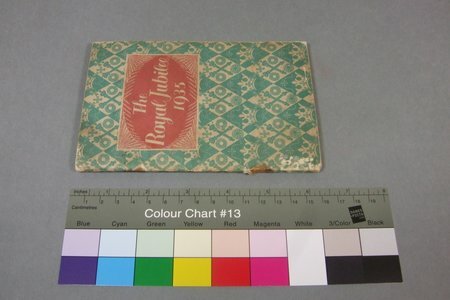 Similarly, the plates needed to be guarded together in order to sew them along with the rest of the book. 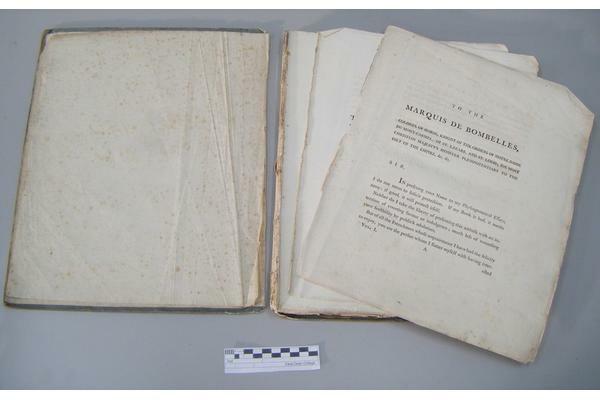 Unlike the first half of the book, I decided that these should be arranged into sections containing two folded sheets (or four joined plates), in order to reduce the swell caused by sewing. To make sure this did not significantly affect the functioning of the book, I made a sewing model first, which confirmed that my proposed re-sewing would work correctly. When deciding on a sewing method, my first concern was that it should not produce too much swell in the spine, so all-along sewing could not be used. I chose to sew the book using a two-up sewing which, due to the number of sewing stations, resulted in a very regular pattern, the sections being held on alternately by two or three lengths of thread. The closeness of the sewing also allowed kettle stitches at both ends all across the spine. The book was resewn on raised cord supports, slightly thicker than the original but as close as I had available. 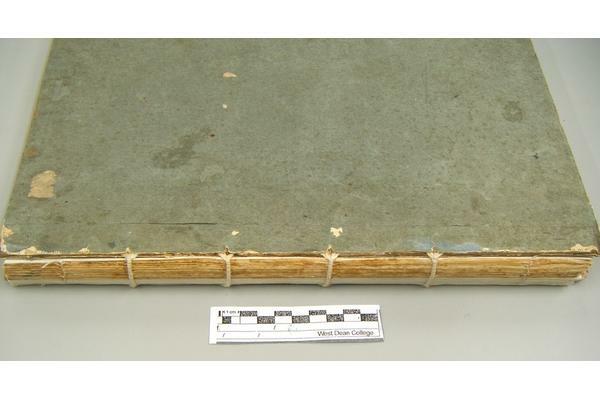 The spine was then carefully rounded and backed, and the cords inserted between the boards and the paper cover. The ends of the cords were frayed out to provide as much contact with the board as possible, but I also divided them so that they would not disturb the remnants of the old cords, which were still embedded into the boards. With the book functional again, I turned my attention to the outside of the book. 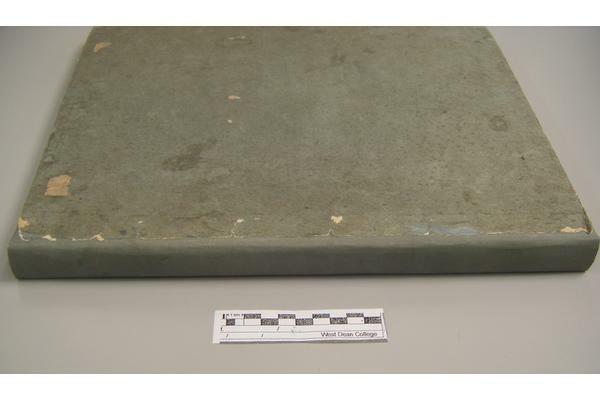 The boards themselves were thin for the size of the book, and the corners had become battered and lost material. 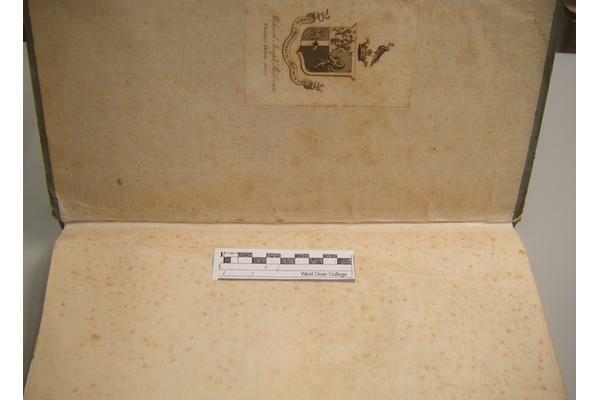 Furthermore, the paper cover was ragged, especially on the back cover, and was coming away from the boards. 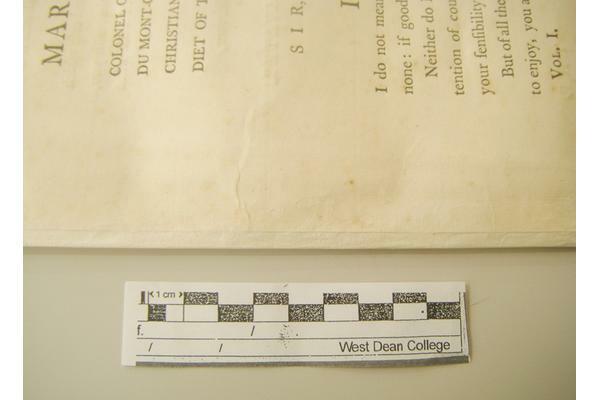 The corners were built back up with pieces of blotter before being covered with Japanese paper, tinted to approximately match the original, which was then reattached with a dry wheat starch paste to avoid discolouration. A new spine piece was then created using two different western handmade papers laminated together to match the (guessed) original as closely as possible. This was then pasted between the boards and the lifted paper cover. Finally, the inside joints were repaired using Japanese paper.